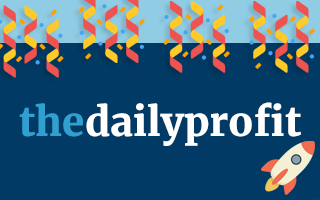 Thanks for all of the feedback on yesterday's release of The Daily Profit! I hope everyone found it useful and will continue to use it! Don't forget that it will be updated at 5pm for any evening offers, and everything at 5pm will be relevant for that time, so if you missed out on lunchtime offers then don't worry! It's the second day of double game week and so there are plenty of fixtures across the Premier League and Spanish La Liga. 9 games in total qualify for 2up today with plenty more throughout the week, so lots of opportunity to make a profit! There should also be a decent amount of price boosts that you'll be able to jump on throughout the day and potentially more profitable ones as kick off approaches. Moplay are offering a £5 free bet for Wednesday's Premier League games, when you bet £10 on either of tonight's Premier League matches on your phone at odds of 1.5+. Info on price boosts can be found here. For info on how to complete 2up, please click here. Week #1 Tip: If you have 15 minutes to spare then check out our Extra Places video that we made for the Cheltenham festival. This is going to be useful for Saturday as the Grand National race is on at 5:15pm, and extra places will be an absolute gold mine! For the Casino, we will try to pick out an example of a good low risk offer per day. Already today there are some great offers so make sure you check out the low risk thread on Oddsmonkey below; and definitely try the Comeon offer if you haven't already as it's great value for a few minutes worth of work. Comeon are offering a deposit £25 get 25 free spins. You don't need to wager your initial £25 on casino however you might need to wager on sports before withdrawing, so if so, you'll need to find a 100% match to make this profitable and risk free. Bwin are giving away free prizes every day on their hi-lo game. This is worth doing as the majority of prizes are risk free! Make sure you don't use your balance by accident and you can attempt this with absolutely no risk, but with the chance of winning some money. *Open up the game and see what prize you win. You can do this daily! Comeon are offering 30 free spins on Guns N Roses when you answer their quiz correctly and then wager £20 on the casino. Tip: Track your ev AND profit. Just tracking the profit can be demoralising when you've had a few negative offers. Tracking ev will help keep you in the correct mindset. William Hill are giving away free prizes every day on their prize wheel. This is worth doing as the majority of prizes are risk free! Make sure you don't use your balance by accident and you can attempt this with absolutely no risk, but with the chance of winning some money. *Open up The Big Spin and see what prize you win. You can do this daily! Sky offer a free prize EVERY DAY for little effort. All you have to do is log in, spin the prize machine, and get a prize! (Some days you won't win anything though!). Thank you for reading and happy profiting!